WHAT??! Is there a better way to start this week? We think not!! CHALVON Bubbly!! WE are completely helpless in the spell of this wine --- the pricing is, well, it makes our tears well up and our cheeks hot with unbridled joy...CHAMPAGNE! Bring it!!! 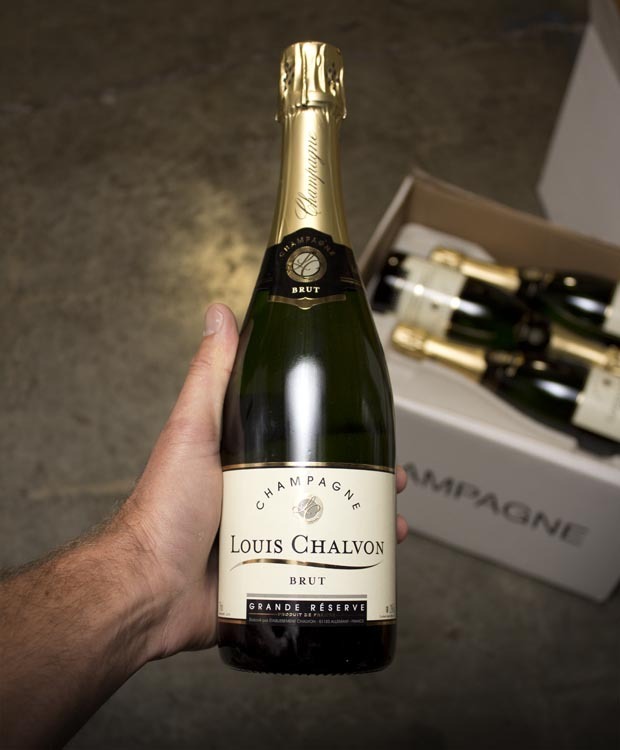 OK, disclaimers of selling out aside, many old-time Last Bottle clients know this UNREAL FIND well -- real deal Champagne at our stupendous price -- which means you can drink it with abandon, day and night, after a workout, even with your morning granola. Just off the container from France and ready to get popped ASAP. The new release of Chalvon is tried and true: Clean, crisp, mouth-tingling and zippy, with tart green apples, crispy Asian pears, lemon and citrus rind, a bit of pie crust and mineral...just a flat-out crowd-pleaser that at this price definitely qualifies as a "case me" purchase! We drank the last batch we got way too fast and we'll bet you did, too!! Don't miss it again! Happy Monday!